When people ask what I do for a living I usually just stare back at them, blinking stupidly before I answer. Then I explain awkwardly that I used to be a teacher. Though I haven’t taught in years, for some reason I often still lead with that. Maybe I want people to know that I went to school and learned how to BE something legit—as though being a “Content Creator” is a made up career. I can assure you that working from home as a Content Creator is a real gig involving skills I never anticipated would fall within my scope of expertise. In fact, a few areas within my job description didn’t even exist ten years ago. I started my first blog in 2006 shortly after our second child was born and it became apparent she was going to have some medical and developmental challenges. I left my career as an elementary school teacher to stay home to care for her. While she napped, I wrote about our life. Forever in Mom Genes was a place for me to dump my thoughts—worries, bliss, fears, triumphs, stories about our family, the challenges of parenting a child with disabilities, and anything else important to me in the moment. 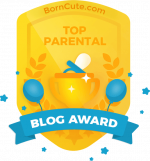 The stories I share mirror those of so many other parent bloggers in this ever growing community of story tellers. A “web-log” is more accurately a “we-blog,” because so many of us do. Some bloggers’ words make me laugh or tear up or exclaim (with just a tinge of bitter envy), “I wish I wrote that! !” And of course there are bloggers who are just average. We can’t all be the Bloggess, right? We each have our own unique voice and audience. People ask me that a lot—how it works, how much I get paid. You know those disclaimers you see at the bottom of blog posts stating, “Though I was compensated for this post, opinions are my own?” Ethically, if not legally, we are obliged to include that. So if you see it, you know I was compensated for the story. This does not mean the story is an textbook advertorial. I try hard not to write those because I certainly don’t enjoy reading them. I try to align with brands I already know and use, or find products that are a fit with my family. I’m proud of those stories, paycheque or not. There have been products/services I’ve been hired to write about that I just couldn’t. Sometimes I still get paid (without posting) sometimes not. It doesn’t matter. I can’t post about crappy products or experiences because it’s embarrassing and it’s dishonest. So yes, I do get paid to blog as well as post on social media. But only sometimes. Usually I write for me. The biggest bulk of my job is writing behind the scenes. You know how brands hire people to be their voice online? I’m the voice. I get paid to chat with customers on Twitter and Facebook and Instagram. Part of the job is to write content for other people, to create graphics, and to edit videos to post on You Tube. I don’t get credit for funny tweets or clever Facebook images because for the most part, I’m a ghost but I’m okay with that because I get to be creative all day long. And the best part? I can do it from home. If my son has a basketball game after school, I quit work early to drive him and his teammates to the game and cheer from the sidelines. If my daughter isn’t feeling well and she calls to ask me to come get her, I do. I go to the gym when it suits me. I meet friends for lunch when the mood strikes. If it’s sunny day, I stop what I’m doing and walk the dog. But then I reminded myself that she doesn’t know what I do. My career is invisible to those unfamiliar with the inner workings of the social media machine. I’m not a ghost, I’m a ghost writer.